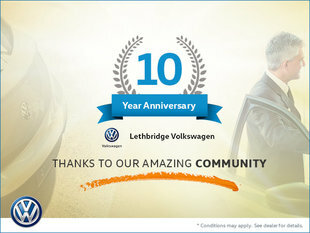 The 2017 Lethbridge Volkswagen 1.4 Turbo Jetta has arrived in Alberta and it is waiting for you to test drive it. If you are looking for an affordable and economical sedan that is also a blast to drive, look no further. The 1.4 turbo engine delivers good acceleration and even better fuel economy. Road manners are impeccable and similar to the Passat, while the steering is responsive and great on a mountain pass. 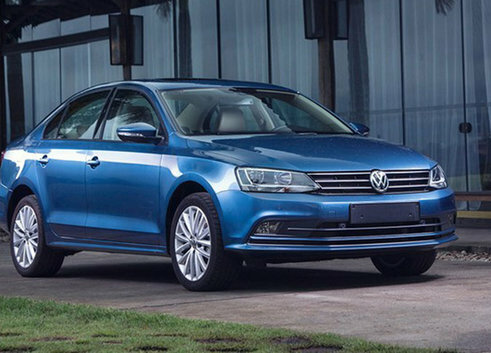 The VW Jetta's new EA211 turbocharged gas engine is also used in the Jetta Turbo Hybrid and is an all-aluminum direct-injected turbocharged and intercooled 1.4-liter 4-cylinder engine. It is rated at 150 horsepower and an even more impressive 184 lb-ft of torque. The transmission is a 5 speed manual or a 6-speed automatic. The 1.4 turbo Jetta carries a 39 mpg/6 liters per 100 km highway EPA rating, which is 10+ percent better than last years' 2.0-liter engine and still better than the 1.8 turbo engine. Interior space is good for 5 persons and cargo space amounts to a cavernous 440 liters/ 15.5 cubic feet. If this is not enough, you can also fold the rear seats, too. The 2017 Jetta colours range from Pure white, all the way to Deep black. Advanced technology upgrades include Apple CarPlay, Android Auto and MirrorLink compatibilities. Controls are simple and easy to use, without multiple buttons or dragging in multiple screens.